Valentine's Day has always been a favorite holiday of mine mostly for the abundance of hearts, pink, and candy, but I also love love! The holiday always brings me back to exchanging Valentine's Day cards with everyone in my class, making fun mailboxes to put them all in, and being on a sugar overload all day! Now that I am older, my favorite gift to receive is just a thoughtful card from the one I love! 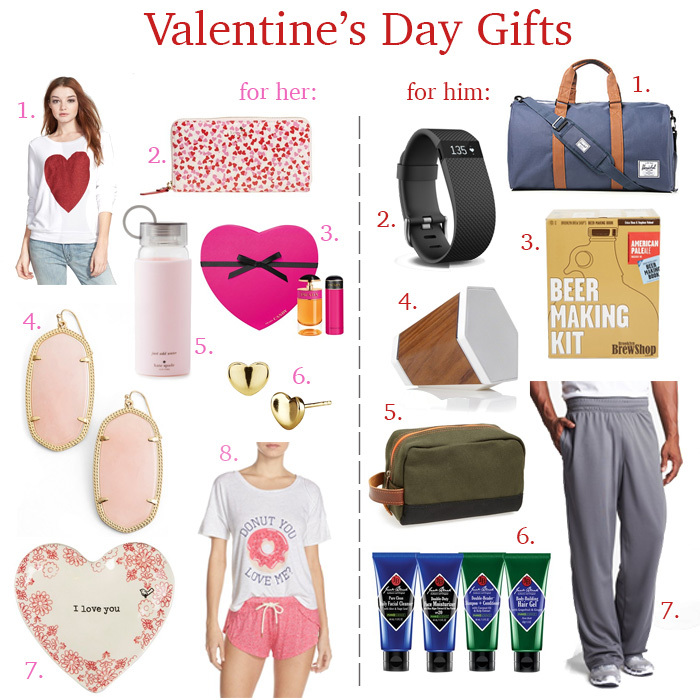 However, if you are more of the gift giving/receiving type or just want to buy yourself something nice #treatyoself then I've rounded up some of the cutest and girlie gifts for the friend/girlfriend/mom/sister/aunt/grandma in your life and some pretty awesome gifts for the friend/boyfriend/brother/father/mystery man in your life!